It took years of research, but a Shelby GT500 Ford Mustang convertible kept in storage for decades has been found to be one of just four prototypes developed for the 1969 model year, Ford Motor Company has announced. 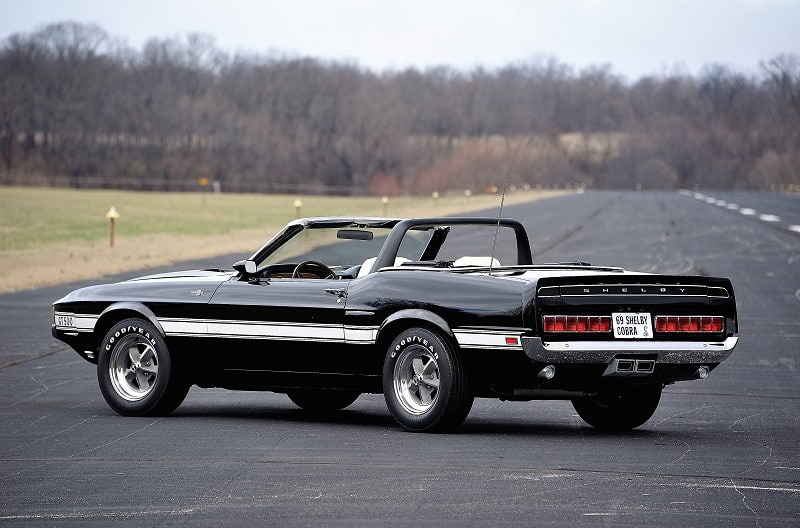 In a lengthy post about the vehicle, Ford Performance said the car was one of the first to be built at the Dearborn Assembly Plant for conversion into a Shelby Mustang. 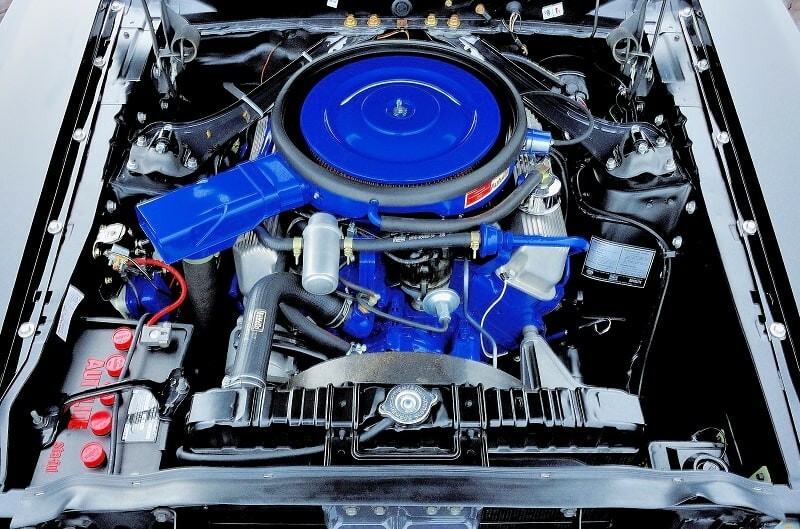 The car was the first 428CJ Mustang built at Dearborn and is the only ’69-’70 model finished in Raven Black. Despite its history, the prototype was put into storage in 1977. 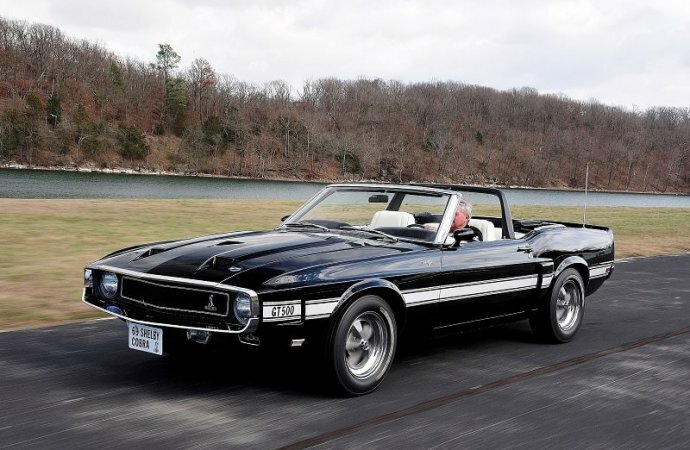 There it sat until 2014, when rumors about it circulated at the French Lick Concours d’Elegance in Indiana, where Shelby was the featured marque. Enthusiasts George Huisman, Ed Meyer and Tony King, and renowned restorer Jason Billups, discussed the potential find and agreed to stay in touch about it. 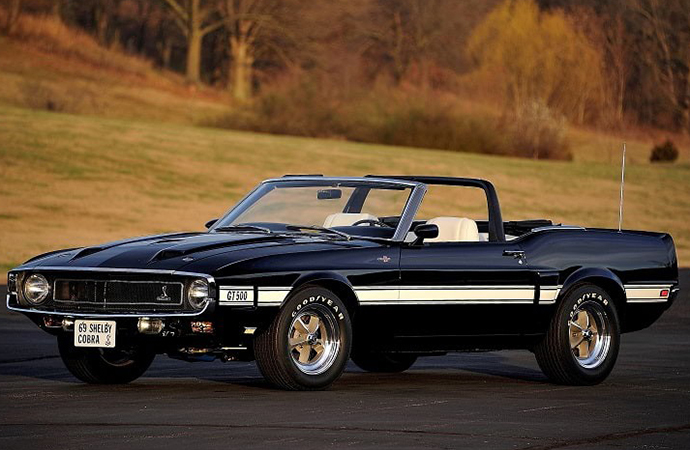 The following year, King received word that the GT500 was available. He contacted Meyer and Billings, who agreed to inspect the car with him in Detroit — Meyer skipping his 60th birthday party to do so. The trio found some factory paperwork, along with some noteworthy features, and agreed to buy the car. 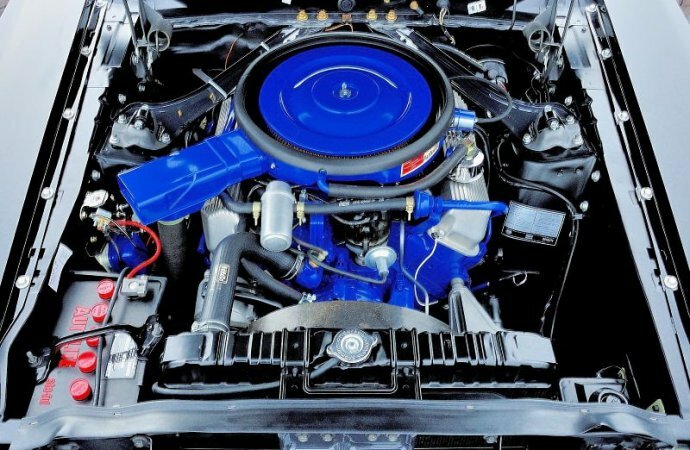 The prototype — which bears VIN 9F03Q1022336 and is nicknamed 2336 — was taken to Billups’ shop for a “full-blow, historically accurate restoration,” Ford said. When it rolled into Billups’ shop, the vehicle’s odometer read just 7,579 miles. Though it was in good condition, it had been repainted and some mechanical work had been performed. Research showed the production vehicles were often driven exceptionally hard and taken apart and put back together frequently as design changes were considered. As the restoration process moved along, Billups found numerous pre-production features. It had a working left-quarter side scoop; the one on the right did not work. 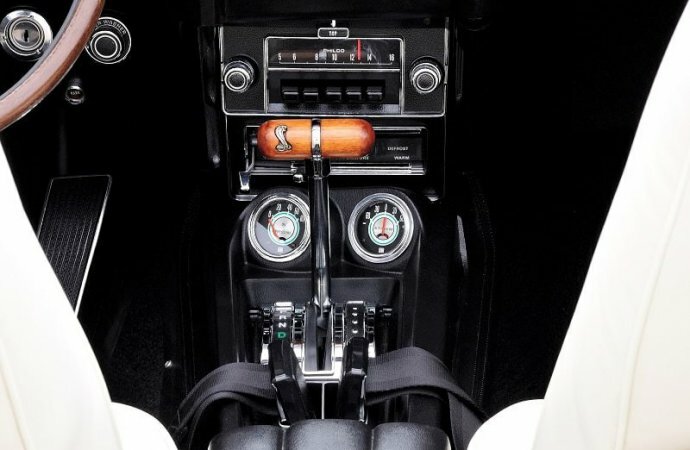 It was equipped with 1968-style Stewart Warner gauges (featuring a 120 mph speedometer), a Midland power brake booster and master cylinder from the same year, and power windows with components sourced from a Mercury Cougar, among other quirks. In addition, the tubular roll-bar shape and rear interior vinyl-wrapped quarter trim fiberglass panels were unique. The differences between the prototype and production vehicles were meticulously recorded during the restoration. 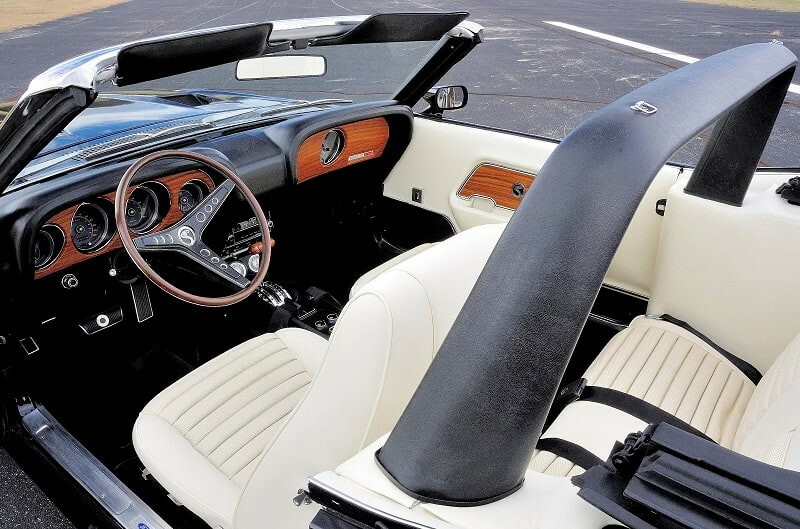 Care was taken with the car’s hand-laid fiberglass paneling. Billups chose to replace the top, as it likely would not have survived removal and reinstallation. However, the interior remained as found. 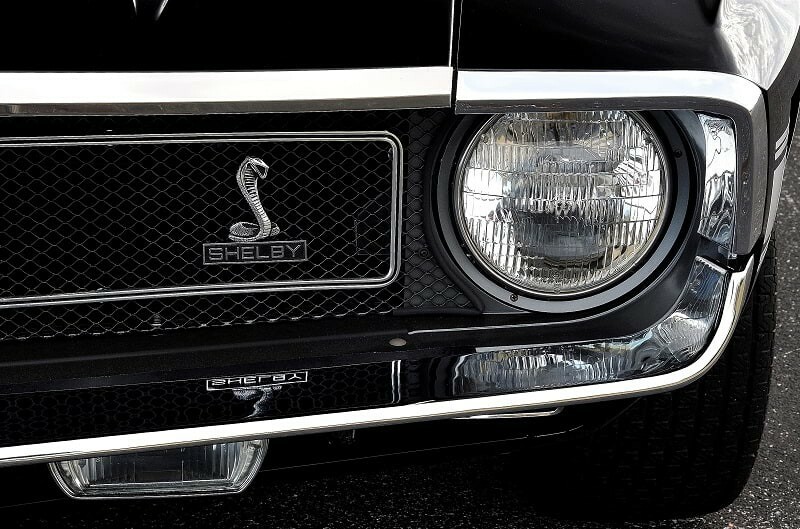 Years of research went into confirming the Shelby’s heritage. 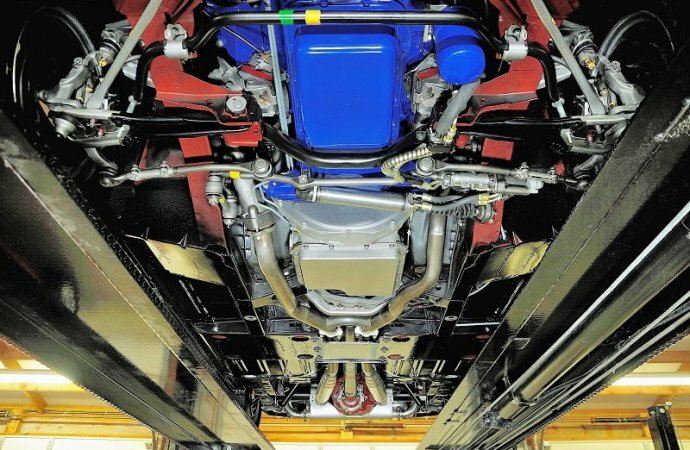 Numerous people, including Shelby American Automotive Club members Pete Disher and Vincent Liska, took part in online discussions that unveiled documents — a vehicle invoice, factory inspection sheets, committee minutes and other items — that supported the car’s provenance. Shelby’s own archives indicated the vehicle was used to test a 351cid four-barrel engine, as well as power window mechanics. 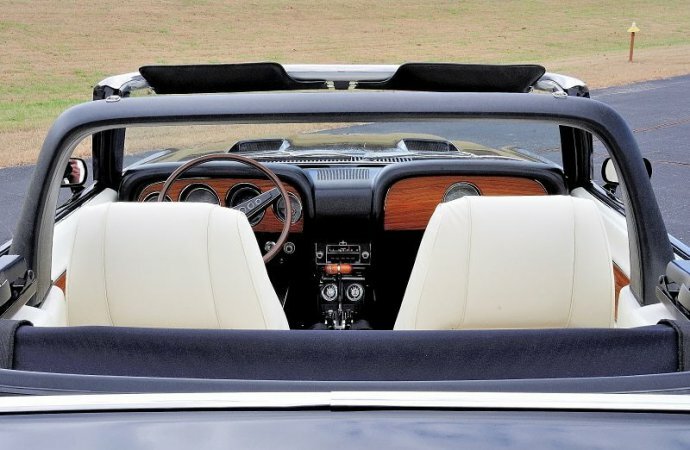 The car also originally had a black interior that was later switched out. During the restoration, the finders searched for the three other prototypes. Two were found and now sit alongside 2336 at Billups’ shop but the fourth, 2237, has proved elusive; it is possible the final prototype was parted out to the others. Still, anyone with information to its whereabouts or fate is asked to contact Billups at his shop.